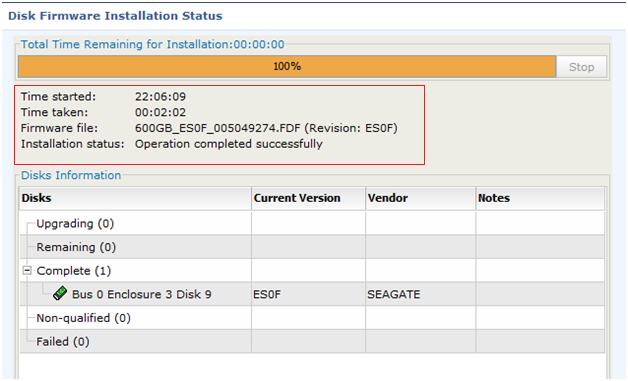 Unisphere Service Manager will be used to replace the drive and update the firmware. 2. From the System screen, select Hardware > Hardware Replacement > Replace Faulted Disk. 3. Follow the instructions that appear. From the SP logs you can check the Hot spare that was in use and also view the rebuild status. Running a naviseccli getdisk –hs is another method of determining HS in use. 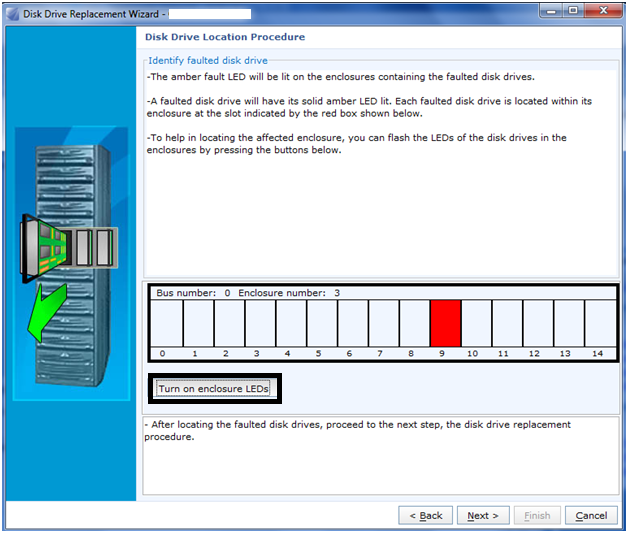 Once the rebuild has completed a F/W upgrade of the new disk can be executed. 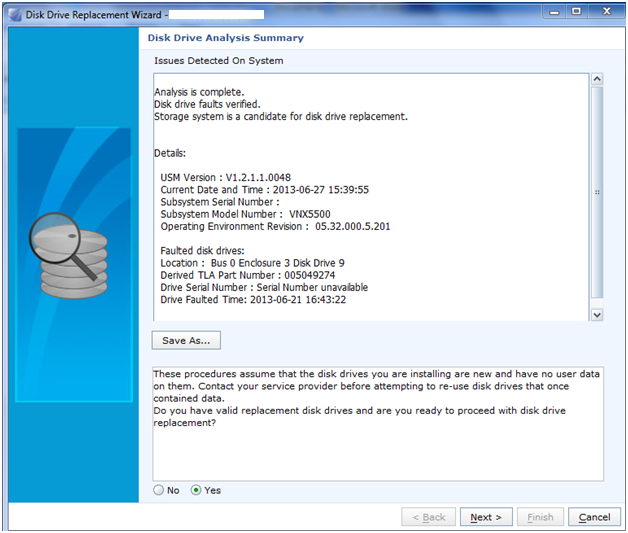 Is it possible to keep the existing disk sled and replace just the drive when a disk fails in a VNX? That’s exactly what I’ve done, but the array is not recognizing a new disk has been installed. The LEDs for the disk are solid amber and green. The replacement disk is the same type, speed, manufacturer, but the model is different because the original model had been discontinued. You cannot use a generic drive. Drives to be installed into an EMC array must be purchased from EMC or an EMC reseller because the drives are formatted at the factory specifically for use in EMC arrays. 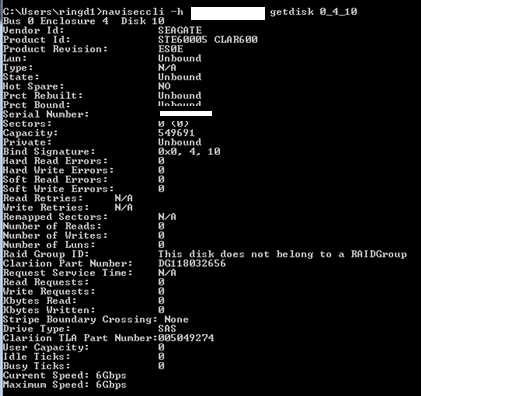 Without that formatting, the drive will not be recognized by an EMC array. Correct, thanks for highlighting Ernie. we bought a drive, not from EMC or reseller. do we have any way of getting the drive to been seen by the array? right now when I put in the new Drive our EMC VNXE3200 will see that a drive is taken out and then put back in but it still shows the SN of the old drive that is not even in the system anymore.